And mighty they are. Arches, Bryce Canyon, Canyonlands, Capitol Reef and Zion. California with nine and Alaska with eight have more. 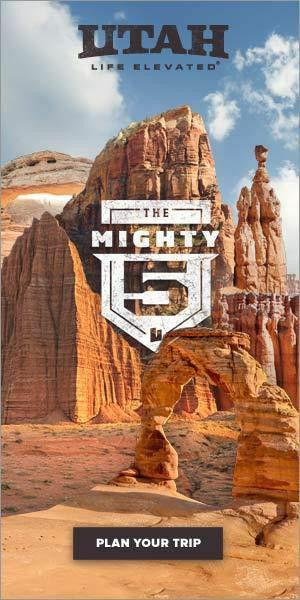 But no state can match the grandeur and proximity of Utah's five. Are they alike, or in any way similar? Sure. All are blessed with red rock splendor and myriad scenic vistas. All have pristine beauty and serenity. All have a wealth of backcountry adventures. And all have colorful and welcoming gateway communities providing the necessary lodging, restaurants, guide services, gear/photo shops and support for visitors. Gigantic, wild, untamed, vast. Two mighty rivers, the Green and the Colorado over eons have carved this rugged landscape. At over 337,000 acres, Canyonlands dwarfs all four of Utah's other parks, over twice the size of Zion and nearly ten times larger than Bryce. But mere size doesn't tell the story. 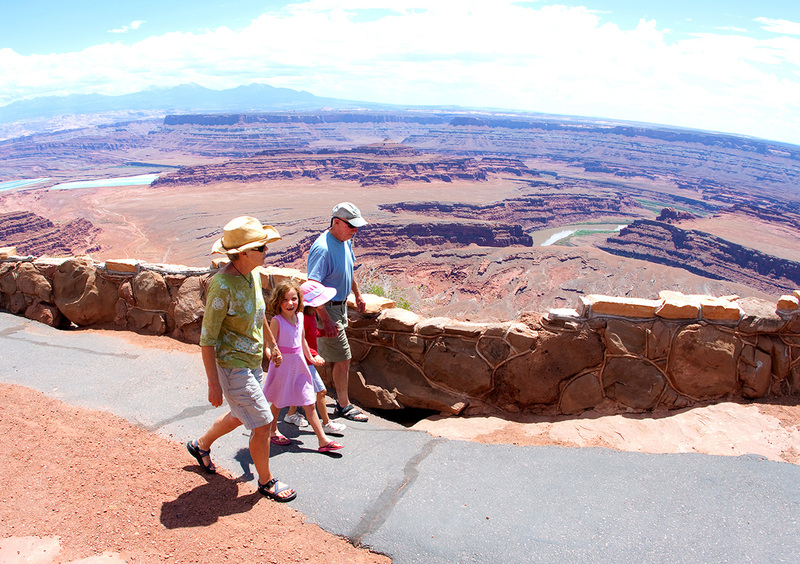 Stand on the edge of Dead Horse Point and view the Colorado River over a thousand feet below twisting, coursing for miles and miles creating this immense wilderness and you will understand Canyonlands National Park. What to do. So many things, so precious little time. Three distinct districts to see and experience; Island in the Sky, Needles and The Maze. The Island in the Sky district is the most accessible, most frequented by visitors and offers the best opportunities for windshield sightseeing. The overlooks along the scenic drive are hovering 1,000 feet above the surrounding terrain, providing spectacular views of the canyons below. Several short trails, including Mesa Arch, Upheaval Dome and Aztec Butte, lead to interesting natural and cultural resources. 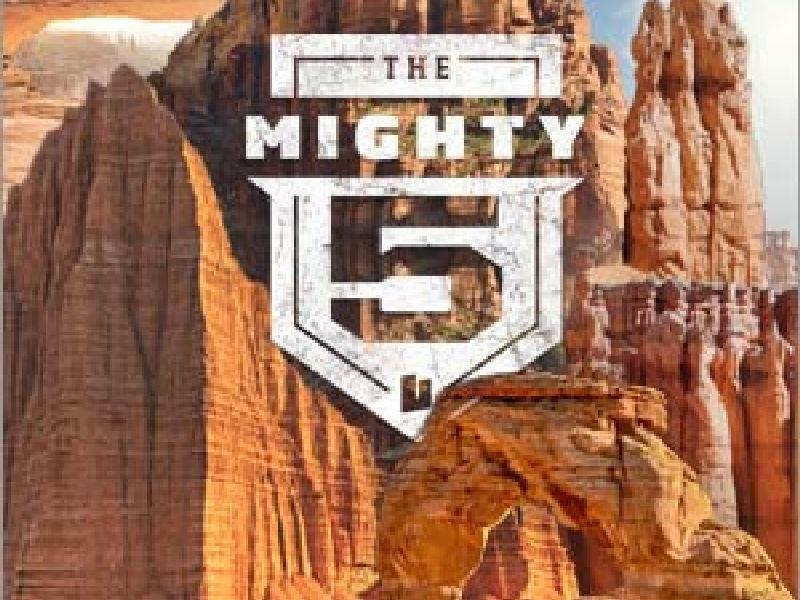 There are hundreds of miles of four-wheel-drive roads in Canyonlands, providing access to various campsites, trailheads and viewpoints in the backcountry. These range in difficulty from intermediate, like the White Rim in Island in the Sky (also a classic mountain bike route), to extremely technical like Elephant Hill in the Needles and the road to the Land of Standing Rocks in the Maze. Rock climbing in the park is a popular activity, but limited by the quality of the rock. Routes like Monster Tower, Monument Basin, Moses and Zeus are rated from 5.7 to 5.11c. At Washerwoman Arch, In Search of Suds route is a 5.10 and the only arch that is legal to climb in the park. 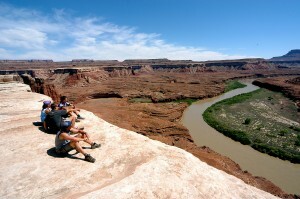 Just outside Canyonlands, Wall Street and Ice Cream Parlor are fantastic climbing venues. Canyonlands hasn't forgotten the young ones! Kids love peeking through Mesa Arch and climbing the back of the whale at Whale Rock. In the Needles District, the Cave Spring Trail features a cowboy camp and prehistoric pictographs. Pothole Point is another popular hike. If the potholes are full of water, curious ones can enjoy viewing the creatures that live in these small ecosystems. Discovery Packs are available at both Needles and Island in the Sky and contain many useful and informative items, including binoculars, a hand lens, a naturalist guide and a notebook. That's exactly what most of Canyonlands National Park is, backcountry. Adventures away from civilization are varied, diverse and exciting. Much of Canyonlands is managed as undeveloped land, and the park has become an increasingly popular destination for backcountry travel. Permits are required for all overnight trips in the backcountry. The Maze. Sound intriguing, mysterious, enticing? 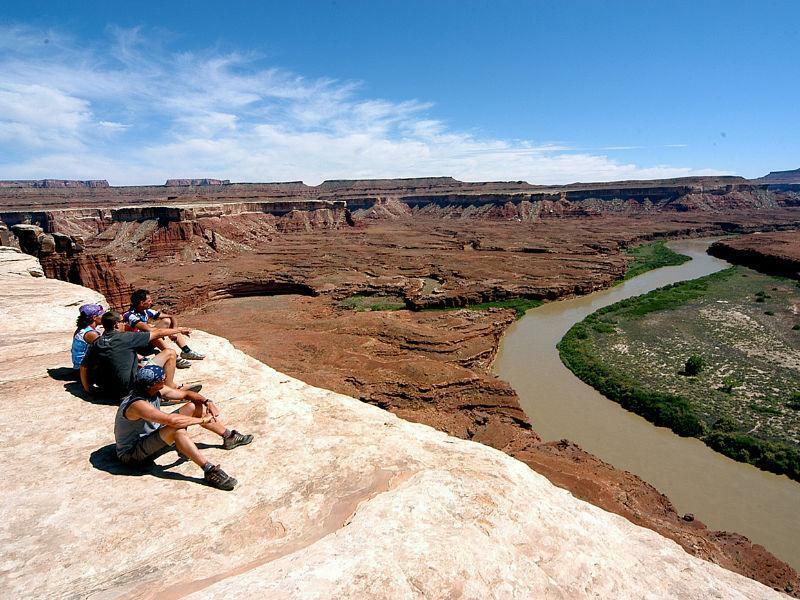 Canyonlands National Park's least visited district is all of the above. Remote, roadless except for gravel and 4WD roads, rough, backcountry personified, the Maze is amazing! Due to the district's remoteness and the difficulty of roads and trails, travel to the Maze requires a greater degree of self-sufficiency. Legends of the old west tell stories of outlaws escaping into its wild and nearly inaccessible canyons. Mountain bikes thrive here. Several guide services in Moab offer multi-day trips in the Maze. Rim Tours has regularly scheduled mountain bike excursions beginning atop the Orange Cliffs with a two-night stay on the Maze Overlook. The trip includes a day of hiking past the Chocolate Drops formation to the Great Gallery, a world renowned example of ancient "barrier canyon" rock art. If its ancient rock art you're wanting to see, Horseshoe Canyon, formerly known as Barrier Canyon, is in a remote area west of the Green River and north of the Maze District of Canyonlands. It is known for its collection of Barrier Canyon Style rock art, including both pictographs and petroglyphs. The highlight of the ancient rock art is the ‘Great Gallery,' a 200-foot long by 15-foot high panel featuring twenty life-size human figures. The art dates back as far as 7000-9000 B.C. and was created by the Desert Archaic culture. An area of Horseshoe Canyon that contains The Great Gallery is part of a detached unit of Canyonlands added to the park in 1971 in an attempt to preserve and protect the rock art. Ranger-led hikes to the Great Gallery are available on weekends. The moderately strenuous hike is 6.5 miles roundtrip with a 750-foot elevation change. The trail is well-marked but requires endurance and plenty of water for the three to six hour hike. Well preserved rock art is not the only attraction in the canyon. Spring wildflowers and mature cottonwood groves line the stream in the canyon flanked by sheer sandstone walls. The Hans Flat Ranger Station issues the free, but required permits for horseback travel from the west rim trailhead into Horseshoe Canyon. 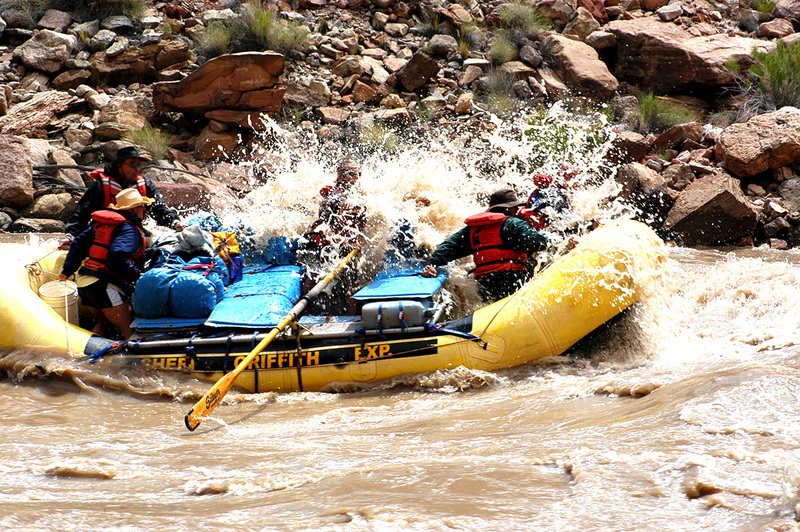 The Green River flows gently southward from the town of Green River through Labyrinth and Stillwater Canyons to the confluence with the Colorado River, in the heart of Canyonlands National Park. There are no rapids so the trip is suitable for many kinds of craft. Canoes and sea kayaks are the most common. The river corridor is isolated for the most part, with just a few lightly traveled gravel roads reaching the shores. 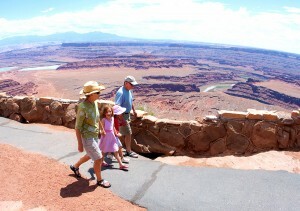 As is all of the Canyonlands region, the scenery is spectacular. Permits are required, but easy to get with no lotteries or waiting lists. The most common put-in point for the trip is at Green River State Park. The usual take-out is at Mineral Bottom, where a ranger is on duty most of the time from mid-March through October. Access to Mineral Bottom is via State Highway 313 north of Moab. The turnoff to Mineral Bottom is marked by a small sign, prior to Dead Horse Point State Park-Canyonlands National Park junction. The 17 miles of dirt road to the take-out are usually in good condition, but can be very slick and even impassible when wet. This road is best suited to vehicles with high ground clearance. A trip through Labyrinth Canyon on the lower Green River can be enjoyed almost any time of the year, except in winter when there is ice on the river. The heaviest use is between Easter and Labor Day. This portion of the river is also used by motorized craft. The Annual Friendship Cruise, a motorboat event takes place on Memorial Day Weekend. This year's will be the 50th anniversary. Call 435/564-8144 for information on the Friendship Cruise.